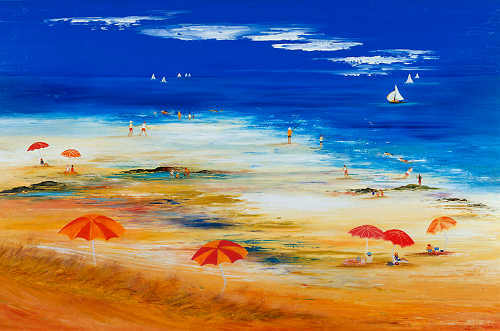 A colourful rendition of the colours that are the bay in summer time. Available in 2 poster style prints. Larger available by order only.